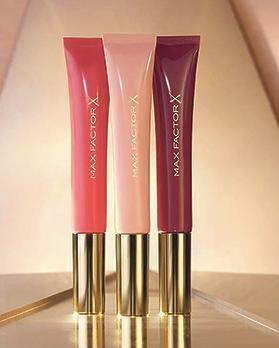 The new Max Factor Colour Elixir Lip Cushion is designed for all occasions, with skin-loving ingredients, beautiful hues and an innovative applicator, to get smooth, soft and nourished lips with a bonus of colour every day. With caring ingredients, including mineral oils and vitamin E, the soft-touch precision applicator, designed with a sloped angle, glides across the lips with ease. Delivering a soft, velvety texture straight on to the lips that requires no mirror, Max Factor Colour Elixir Lip Cushion can be applied anywhere, whether one is at home, at work or at a special occasion. With a buildable formula designed to offer a choice between a tint of colour for every day, or an intense rich finish for special occasions, one can find the perfect shade in the line-up of seven hues.